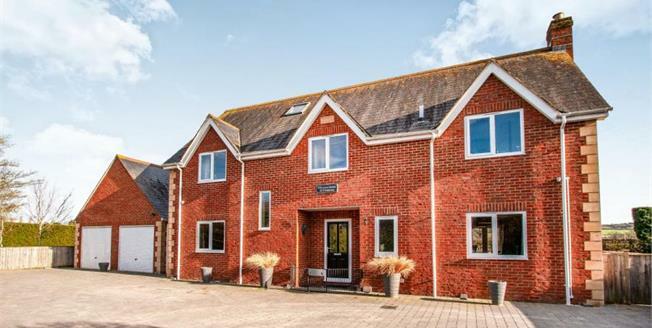 An substantial 7 bedroom Detached family home situated within the rural village of Dauntsy. The property offers spacious and versatile accommodation and benefits from oil heating and double glazeing. Set within its own grounds the internal accommodation, approaching 3000 sq. ft. offers spacious and flexible accommodation with French doors to the garden and a fabulous 22' kitchen/breakfast room. The ground floor also comprises with a spacious entrance hallway, Cloakroom, Dining room, Utility, Study, an extra reception room and Living area. On the 1st floor you have 2 double bedrooms, 1 double bedroom with ensuite, 2 sizeable single bedrooms, and family bathroom. 3rd floor accomidates 2 further double bedrooms. The front of the property provides a paved driveway with access to a double garage, allowing you to park mulitple types of vehicles. To the rear of the property you have a generous sized garden which benefits from having some wonderfull views of the wiltshire countryside.